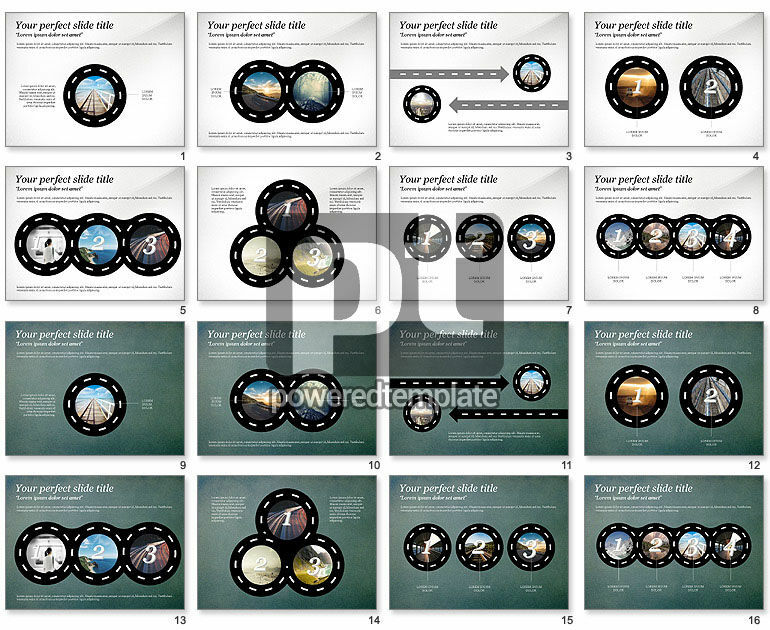 These presentation slides 50399 are complete compatible with Google Slides. Simple download PPTX and open the template in Google Slides. This roundabout interesting presentation has landscape beautiful pictures with road frame around designed in urban style with neutral white or grey background, large numbers and brief text in every slide. Such modern presentation can be used for various purposes, for example in tourism for route brochures and so on.